So, moving on to the review…..the first thing I’m struck by when I removed the 5 Anniversary from its cellophane is the wrapper. It is a nice, even chocolate-brown color – but what I actually noticed first was the feel. It is very supple; not oily in the sense that there is a sheen to it, but quite smooth to the touch. From all appearances, it is expertly crafted. 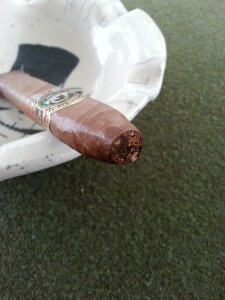 The pressing is sharper near the foot, with a slight fade as you move backward near the head of the cigar. There are moderate veins, which are visible but restrained from the press. The aroma from the wrapper is somewhat faint, but that from the foot is very bold – hay, raisins, and figs all come to mind. This is quite appealing to me. I literally had a salivary reaction to the aroma from the foot of this cigar. It’s not uncommon to hear someone say a cigar is “mouth-watering.” It is rare (for me anyway) to have one literally cause that physiological reaction. 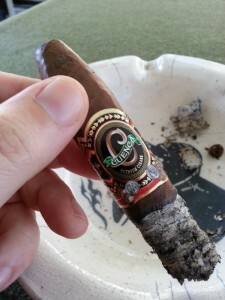 I clipped about a quarter-inch from the head of both 5 Anniversary’s I smoked for this review, which gave me about a 3/8″ opening. This seems to be optimal, providing a near-perfect draw for me. Some mild resistance, but completely free. The prelight draw was surprisingly sweet – even with the aroma from the foot. The sweetness is reminiscent of plums, but a bit “brighter” to use pipe tobacco terminology. In my strangely convoluted way of thinking, it has the flavor quality of plum, and the pitch of cherries. In any event, it’s very pleasant…but I’m too anxious to fire it up to dwell any more on it. Cigars are for smoking, right? The 5 Anniversary took to fire like it wanted to be alight. In the time I normally dedicate just to getting an even toast across the foot, it was already prepped for puffing. The initial puffs are bold and spicy, with a “behind the scenes” sweetness. By “behind the scenes,” I mean only that its presence is felt, but definitely playing second fiddle to the spice. As I’ve mentioned on many occasions, I am often put off or overwhelmed by too much spice; in particular, Nicaraguan powerhouses have a tendency to do that to me. The 5 Anniversary, however, is quite well behaved. The spiciness is audacious enough that you know you’re smoking a cigar, but with just enough finesse to remain a quite comfortable smoke. The spice here is more akin to tropical cooking spices than that which might be found in pepper. 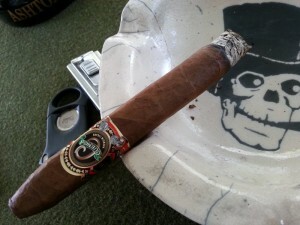 I’m writing this review while smoking the second sample, and have to admit to loving this cigar. It is really hitting home with me in that balance between spicy/sweet/toasty flavors – and the construction has turned out to be a dead-on as was apparent when looking them over before lighting. Progressing into the second inch of smoking, the 5 Anniversary has mellowed a bit. The strength at this point is on the fuller end of the medium range to me. The flavors continue to be fantastically entertaining. I find the balance in strength to flavor just as impressive as the range of flavors themselves. 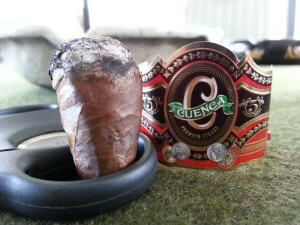 I think the Cuencas’ did their homework when bringing AJF and others into the process of creating the blend. If you took the time to read the press release, you know that they brought some of their patrons into the mix by having them act as testers for the blend. They have invested the time into working with customers to develop their own personal palates and tastes in cigars, and are now reaping the benefit of having them contribute to making a better cigar. I love this idea. Who better to help design a product you sell than your customers? I totally agree!! The best private label cigar around! A serious cigar for full flavor enthusiasts. A must smoke. Cuenca is a home run. Excellent review! I wholeheartedly agree, not only the best “house” cigar I have ever had, but have found myself preferring this over most of the others in my very well stocked humidor! 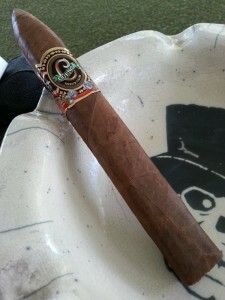 I hope to try this cigar next week, Im from Mexico City and hopefully I will have the chance to get one next week. But let me say something… If the cigar has at least half of the passion, spark, and taste embed of the two owners, Miguel and Ana Cuenca, it should be an extraordinary cigar. I have the enormous pleasure to know both of them and the store from the beginning and i just can say incredible things. I have had the opportunity to know a lot of cigar stores and lounges around the world, been this my favorite. They are warm and incredible friends with an impecable taste and knowledge in tobacco. Some could think that my words aren´t the purpose of a cigar review, buy I truly think that in cigar making, like in food, the people leaves a piece of them when it is made with passion. 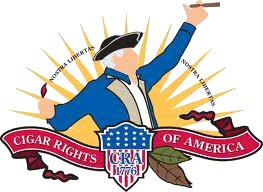 I cant wait to try it and if you let me, I will write the most objective review of the cigar as soon as I smoke it, but I could not pass the opportunity to sincerely recommend the store at any serious cigar smoker visiting Florida. Miguel and Ana, keep doing the great work in the cigar business, and guys, if you permit me, I will post my opinion of the cigar soon. Thanks, and Im sorry if this was not the space to write this words, buy I just couldnt pass the chance. Top notch cigar. And weirdly, I know what you mean about quality vs. “pitch” heheh.